If you are late or behind on your credit card payments, you may receive a call from your creditors offering you a Hardship Plans. Are Hardship Plans a Good Idea? If your hardship is short and temporary, a hardship plan can be just the help you need to get by. However, never forget that the goal of the credit card industry is to make money...lots of money! They make a commission when you agree to make payments. So BEWARE when they offer a hardship plan. A typical hardship plan will usually waive or reduce interest rates and fees for 6 - 12 months. The pitch is that this will give you a little breathing room and you can renegotiate your payments or plan later. They will want you to set up automatic deductions from your bank account or send them 6 months of post dated checks. By giving them your banking information, and authorization to withdraw funds, you will have a difficult if not impossible time getting them to stop the automatic payments once the 6 months has passed. Unfortunately, when they take these future payments, they are generally much higher than the amount of the hardship payment. Let's take a look at what your Hardship Plan might look like. They offer you payments of $100/month for 6 months at a reduced rate of 6% and no fees. That sounds like a pretty good plan. However, what they didn't bring to your attention, and what you failed to read in the fine print is that all of the interest and fees that you were not paying during that 6 months will now be charged and added into the balance! WHAT? That makes no sense right. WRONG! At the end of most Hardship Plans, you end up owing the same if not more that what you started with. The only thing the Hardship Plan did was allow you to remain current for six months of temporary hardship due to the reduced payment. When you call to renegotiate your payment and interest rate, more often than not, you'll be back to high interest rates and fees which means it will take you several years and thousands of dollars in interest to pay off your card. 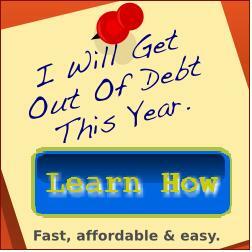 If your hardship is not temporary, you may want to consider a Debt Consolidation program instead. Through a Debt Consolidation program, your interest rate will be drastically reduced for the life of the debt or as long as you remain in the program. (whichever comes first). Not only that, if you have already fallen behind, your creditors will "Re-Age" your accounts to bring them back to current status. Debt Consolidation programs will help you to eliminate your debt in a short amount of time while saving you thousands of dollars interest. For more information, please feel free to give us a call or click on the link below. One of or Debt Solutions Specialists can help you determine which option is best for your situation.